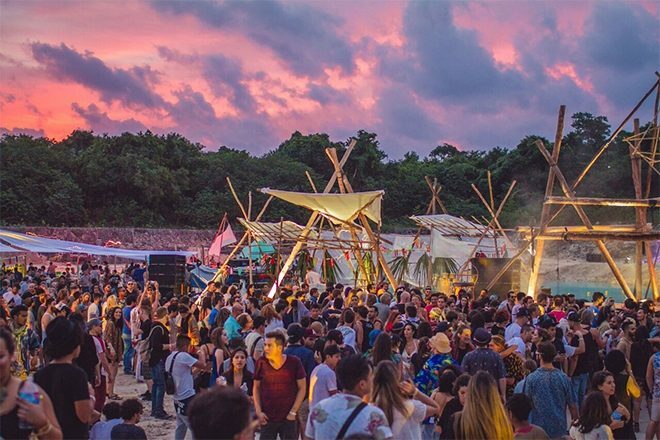 As numerous festivals and events make their way down to the dense jungles of Tulum, Mexico during the winter months, members of Tulum’s city council plan to introduce new regulations that will impede the influx of electronic music tourism in their town. Director of tourism, Eugenio Barbachano Losa, told Riviera Maya News that these festivals and events have brought a style of “tourism that we had never seen before in Tulum” which does not fit with the expensive image of “barefoot luxury” the town wishes to promote. Another issue cited by Losa and the city council is the location of these raves are often held inside national parks filled with protected species of wildlife. Losa calls out Fernando Orozco, the director of Tulum’s national park, for allowing these dance music events to set up shop in the jungle. As usual, Fernando Orozco manages the park at his whim,” Losa exclaims. “He is a harmful presence for Tulum”. What the city council’s proposed regulations will entail still remains unknown. Back in 2016, Tulum’s government issued an official ban on “rave parties”. Although music festivals such as Day Zero, Esto Es Tulum and more continue to set up shop in the town’s outer jungles and cenotes, it seems the Tulum city council is currently drawing up new plans to thwart the rave and resist their reputation as a party destination.